Rapid changes in technology, market demands, and expectations have paved the way for the conceptualisation and implementation of agile methods and values in many organisations. Agile relies on adaptive planning and iterative development and delivery. It focuses primarily on the value of people in getting the job done effectively. Agile Master Certified (SAMC™) Certified Professionals should appreciate the concepts of Agile development and have the ability to compare and choose the Agile methodology appropriate in a given situation. The Product Owner represents the interests of the stakeholder community to the Scrum Team. The Product Owner is responsible for ensuring clear communication of product or service functionality requirements to the Scrum Team, defining Acceptance Criteria and ensuring those criteria are met. The Product Owner must always maintain a dual view. 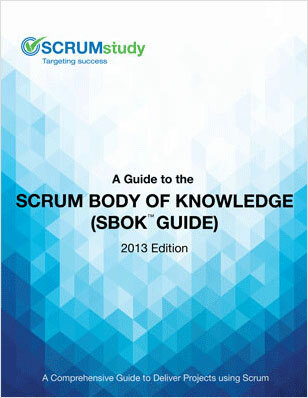 He or she must understand and support the needs and interests of all stakeholders, while also understanding the needs and workings of the Scrum Team. Implement best practice back on the job using these large Vinyl Scrum boards. With quality eyelets and printed on thick vinyl, these help you bring the methodology to life - and keep it top of mind.